Bulky scarves are so last year. Keep your neck warm without all the heft with one of Beklina’s new Petite Scarves. For $65, you can cozy up in style and simplicity. I’m eyeing the clay and black versions, myself. I might have to snap up two of them and hope for the winter to stick around a little bit longer. If you’re a Lee Coren fan like me, you can never have enough of her bags, backpacks, pouches and more in your closet. And lucky me, I just received a new one (the darling Portofino Pouch, Confetti in pink, as a Christmas gift. Made of vegan suede, this pouch is the perfect size—it’s not too big, and not too small—just the right hand-held size for lipstick, keys, and basic cards. For $36, you won’t find anything more functional, practical, or adorable. Find it here. I first discovered Boy Smells candles in Paris of all places. I was walking around a stunning interiors store and stumbled on this scent in particular, Lanai, which blends orange blossom (my favorite! ), along with clove, coal, pink peppercorn, and coconut into one stunning candle that has an unforgettable scent. For $29, it’s the perfect way to gift yourself something this season. Find it here. If you’re a Francophile (like me), then you absolutely must have a striped shirt in your wardrobe. Or maybe two, or three, or four? I mean, you can never really have too many, right? If you’re having a hard time deciding between red or blue stripes, why not choose both with the Loic Striped Jersey from Sézane? For $95, this beauty will keep you both warm in the winter, and stylish all year long. Find it here. Why buy a pair of boring ol’ mules? They all look the same after a while, right? Instead, spice up your wardrobe with something a bit different, in fact, go out on the edge and be a square about it. 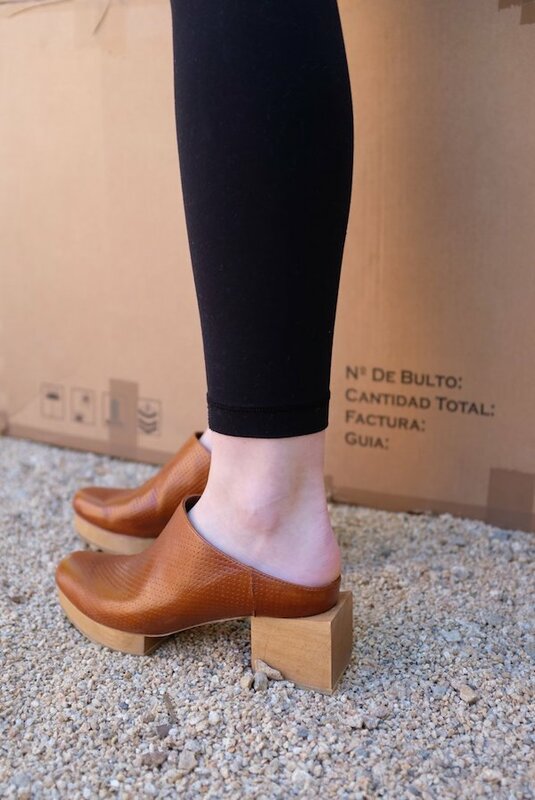 These modern Matisse Platform Mules from Beklina are one-of-a-kind, and they’re not for the shy person when it comes to style. AT $310, they’re an investment piece, but there’s nothing else like these out there, so snap them up before they sell out, as most Beklina items always do. As for me, I’m eyeing the rich Perforated Sepia color.